The electrical supply to John Britten is being upgraded as part of the CETF project, necessitating the building be run off a 5000KVA generator for the week commencing Monday 30 May. On Saturday 4 June the generator will be disconnected and the building will be reconnected to mains power requiring a power outage between 8.00am and 4.00pm on that day.Please do not enter John Britten on Saturday 4 June 2016. While the timing has been scheduled for minimum impacts, we apologise in advance for any inconvenience. This month UC Diversity, UC Film Club, Q Canterbury and DeSoc joined together to show two films that address topics about diversity: Temple Grandin and Pride. – Check out the 2016 Diversity Calendar to see what our diverse communities are celebrating, and let us know of any significant dates you’d like included. – Do you have a Diversity issue and not sure who to talk to? Get in touch with one of our Diversity Champions. A few months ago, the Sustainability Office released its annual report for 2015. After a busy year it is illuminating to look back at some highlights and achievements. 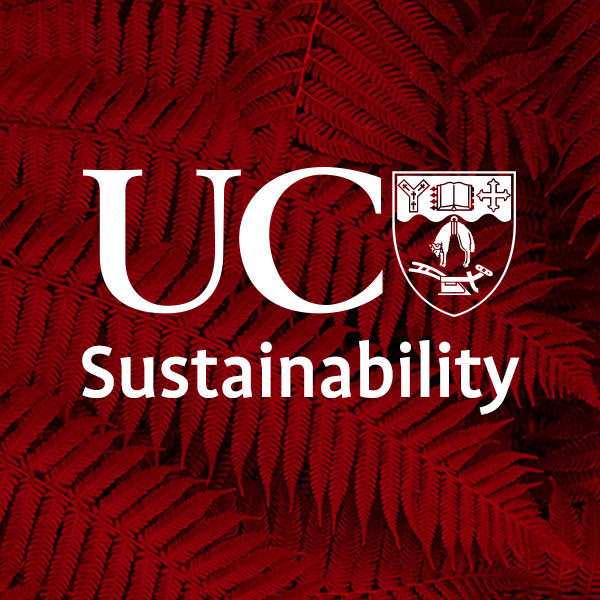 Sustainability planning at the University of Canterbury is based on the draft ‘Sustainability Strategy 2012-2022’, which breaks sustainability planning into short, medium and long term objectives. Annual planning for sustainability at UC is handled by the Sustainability Office and the operational elements of this are part of the Engineering Services Operational Plan. This 2015 report, for the first time, presents the continuous data since 2009. This helps to paint a picture of our overall sustainability performance, and helps us to identify some gaps in our current reporting framework (like biodiversity/ecological health data). Certain indicators are trending in a positive direction, including more people attending Community Gardens working bees, increased levels of engagement through social media, and an increase in the number of cost centres purchasing Fair Trade certified products for their kitchens. There has also been a significant shift in student attitudes with respect to knowledge about sustainability practices and future employment: students indicate sustainability is important to them. Other indicators remain in a steady state or are exhibiting a negative trend. The volumes of waste sent to landfill continues to increase, with a concurrent decrease in recycling an organics which is particularly concerning. Tim Rowe discusses the rollout of peer notetaking at UC. The rollout of peer notetaking at UC has been a major undertaking for the Disability Resource Service (DRS) in 2016. Fortuitously, this innovation has coincided with the introduction of UC’s new Co-curricular Record programme, and getting peer notetaking counted as one the activities connected with CCR has been fantastic from our point of view. Among other benefits, the CCR programme offers a way of making peer notetaking more attractive to students who might be contemplating applying. Beyond the small monetary incentive DRS can offer and the knowledge that their notes help other students with disabilities succeed in their studies, CCR recognition of DRS notetakers provides students with an opportunity to demonstrate qualities like empathy, community engagement, and an enterprising spirit to potential employers. This is a significant benefit and could make all the difference to them when they graduate and enter the competition of the job market. As a nice ancillary, connecting peer notetaking with the CCR programme helps broaden acceptance of differences and promotes the work that DRS does to assist students with disabilities achieve their goals at UC. Click here for an example of a CCR Work readiness skills / Graduate Attributes matrix. Born and raised in Samoa, UC Bachelor of Science student Victoria Faalilo says moving to Canterbury in 2012 was a challenge. She says reconnecting with her culture through the UC Pacific Development Team and CUSSA has been a big help. She shares her thoughts on the importance of Samoan Language Week. Being a Samoan is not about the tattoos or how well and graceful we perform the Samoan Siva. God, respect, love and family are some of the values that the Samoan people strongly believe in and that lie within the beauty of Fa’a Samoa. These are what we should value as Samoans and we should let them be our priorities. The younger generations are so afraid of speaking because they’re scared of people looking down on them when they are not quite on their level, which is why I choose to quote this: “Learn to speak Samoan, not so you may sound Samoan but so you may feel the essence of being a Samoan” – Lemalu Tate Simi. Wherever you go, Samoa will always be home.